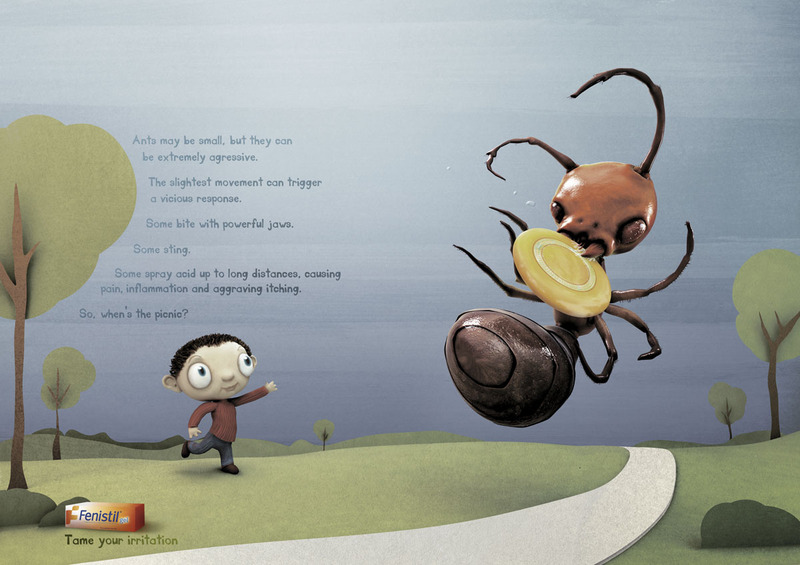 Fenistil, a product produced by Novartis Consumer, Switzerland, is most frequently used to treat sunburns, itching, nettle rash, insect bites, and mild burns. 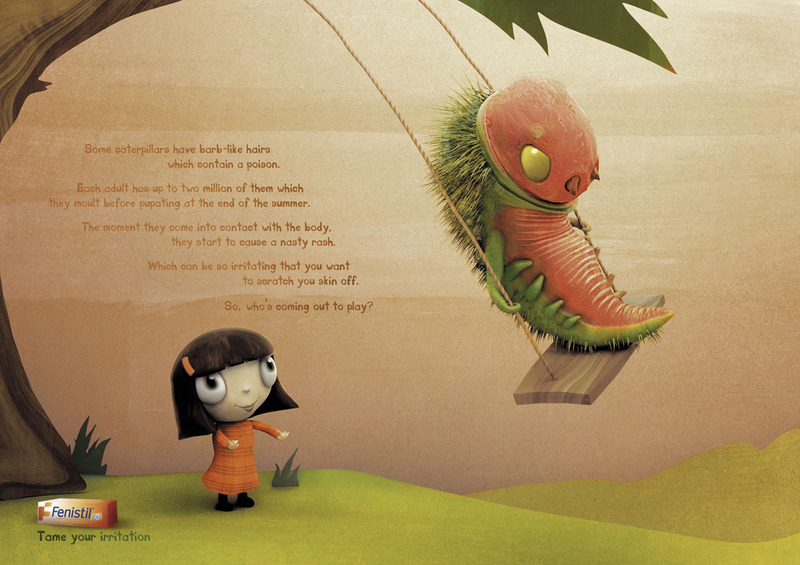 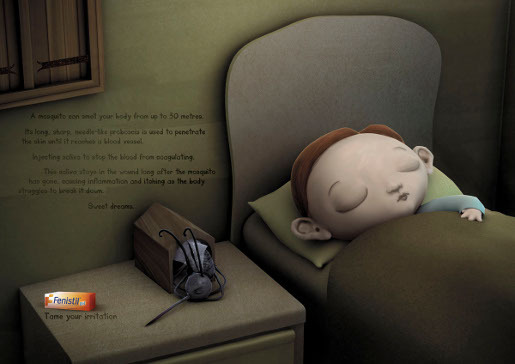 In this print advertising campaign four advertisements use the childrens’ fiction genre. 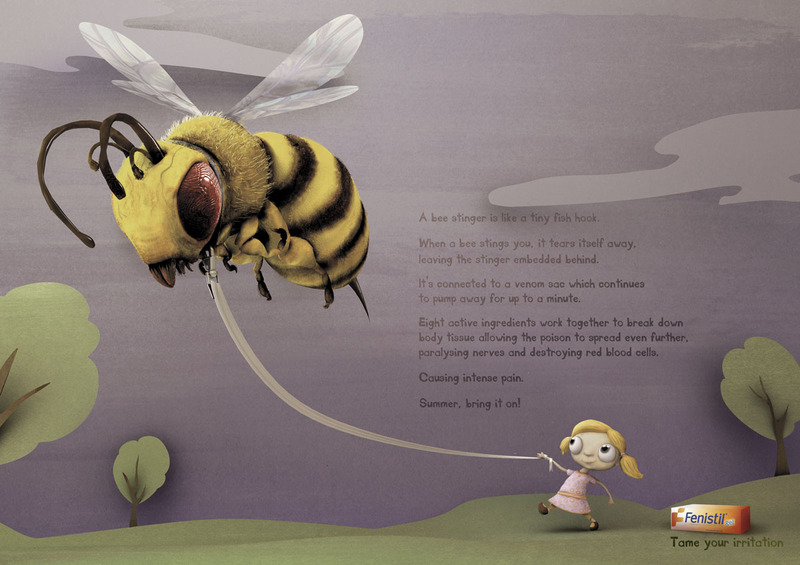 The Tame Your Irritation campaign was developed at Saatchi & Saatchi Switzerland, by creative directors John Pallant, Roger Kennedy, Jean-François Fournon, art director Julien de Preux, copywriters Kevin Pereira and Daniel Lunn, with illustrator David Lobser.